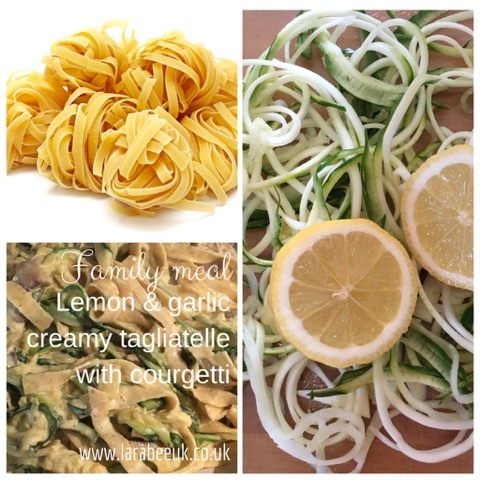 As much as I adore courgetti, sometimes I do feel as though I need something a little more and so I added a little multigrain tagliatelle and you know what? Is was blooming delicious! 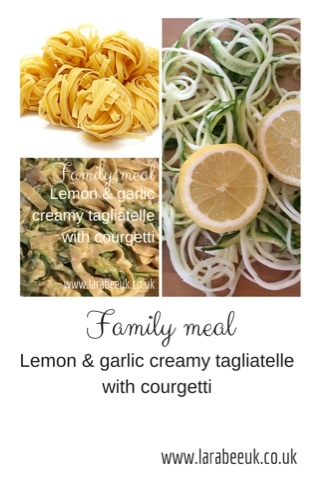 I really can't get enough of this meal, it's great for a weeknight as its so quick and easy or it's great for a nice romantic date night too, you could add some chicken for meat eaters too if you so wish. 2. Meanwhile, gently sweat courgettes and mushrooms in oil along with garlic, and juice and zest from lemons. 3. Remove courgettes and mushrooms from heat and stir in the cream/quark (you may need a little heat and water from your pasta if using quark) add pepper to taste. 4. When pasta is cooked, add to the sauce pot, stir round and serve with a sprinkling of cheese.